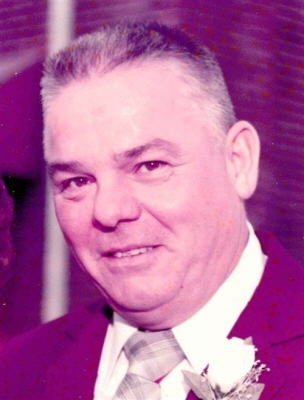 Mr. Ronald J. Lareau, age 83, passed away Wednesday morning, March 27, 2019, at the Northwestern Medical Center. He was born in St. Albans, June 7, 1935, son of the late Joseph and Pearl (Longley) Lareau. Ron served his country in the Vermont National Guard. July 10, 1977 he married Loretta Lagacy. For many years Ron owned and operated Lareau Plumbing and Heating. He enjoyed his job and mostly interacting and talking to the people whom he was called upon to serve. In his spare time, he was an avid coin collector and loved to travel with Loretta. He was a communicant of Holy Angels Church, a 4th Degree Knight of Columbus, and a member of the American Legion Post #1. Ron is survived by his wife Loretta of St. Albans, his stepchildren Debbie Aikey and her husband Joey of Milton, Linda Lagacy of Westfield, MA, Kathy Celetti and her husband Gerry of East Longmeadow, MA, Stephen Lagacy and his wife Laurie of St. Albans, Suzanne Kupiec and her husband Mitch of Springfield, MA, Danny Lagacy and his fiancé Debbie Lively of Springfield, MA, and Connie Burleson and her husband Scott of St. Albans, many grandchildren and great-grandchildren. He also leaves his brother Stanley Lareau and his wife June of Youngstown, NY, and Esther Fitzgerald and her husband James of St. Albans. Besides his parents, Ron was predeceased by his sister Betty Cadieux and brothers Carlton and Howard Lareau. A Mass of Christian Burial will be celebrated Saturday, April 6, 2019 at 11:00 AM in Holy Angels Church. At his request there will be no visiting hours. Memorials in Ron’s memory may be made to the St. Jude’s Children’s Research Hospital, 262 Danny Thomas Place, Memphis, TN, 38105. Arrangements are entrusted to the Brady & Levesque Funeral Home, where online condolences and memories may be shared with his family and friends at: www.bradyandlevesque.com. To plant a tree in memory of Ronald Joseph Lareau, please visit our Tribute Store. "Email Address" would like to share the life celebration of Ronald Joseph Lareau. Click on the "link" to go to share a favorite memory or leave a condolence message for the family.